Hope everyone’s Monday wasn’t too bad, I know mine was alright. I started the morning with a 50 minute hatha yoga class. It felt great. I was starving so I whipped up food as soon as I got back. 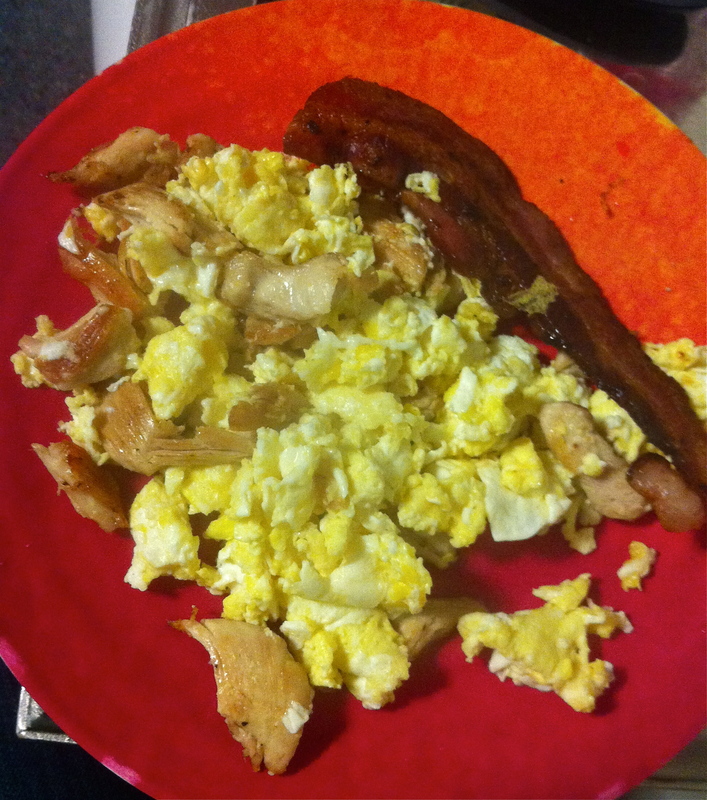 Breakfast: two scrambled eggs, chicken, and a slice of bacon. Mmmm. After I got off work I was starving again, so an apple and almond butter was eaten before I started workin on dinner. A few days ago I finally got the balls to go shopping for meat at a real legit meat market. I left with fresh amazing thick cut bacon and some ground bison. I have never had any desire to eat buffalo, and yet somehow it left with me. I think paleo is starting to rub off on me. Since I was weary of tasting it for the first time I decided to just make burgers with it. In went diced shallots and garlic, salt and pepper, and the bison meat. Out came four wonderfully tasting burgers. Win! Despite the worst photo ever, dinner was delicious. 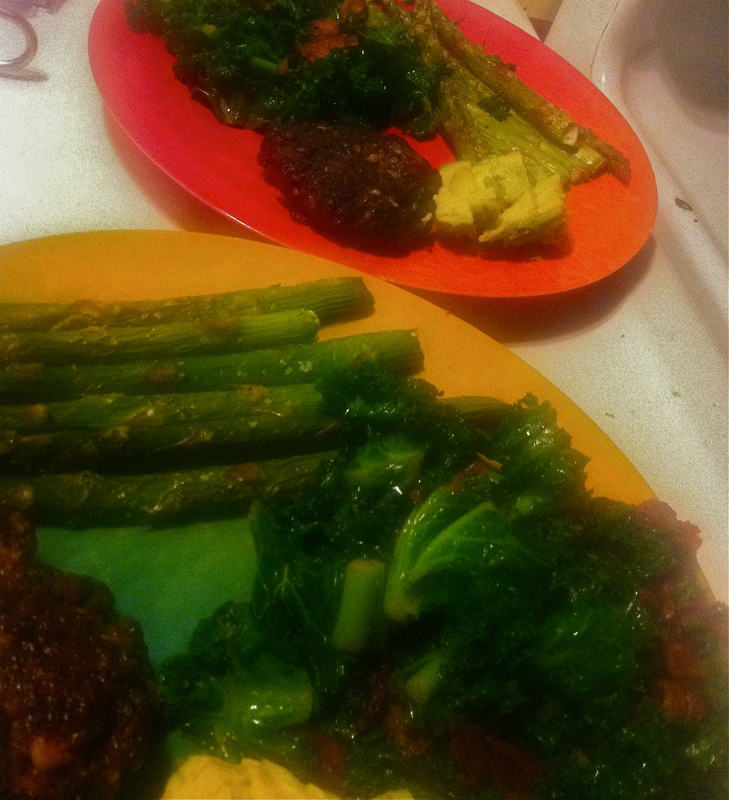 I served the burgers along side some roasted asparagus and cooked kale & bacon. This was also out first time trying kale. Luckily we liked it, but that probably had a little something to do with all the bacon. I’m super excited for dessert tonight. Yesterday at Costco I found dried coconut chunks… so good. Can’t wait to scarf some of those babies down.